This glass is a truly versatile favor! Give guests a shot glass in celebration, or add a tea candle and it's suddenly a sweet votive holder! 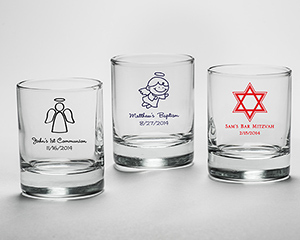 Each favor is personalized with your favorite religious icon for your event, milestone, or holiday. 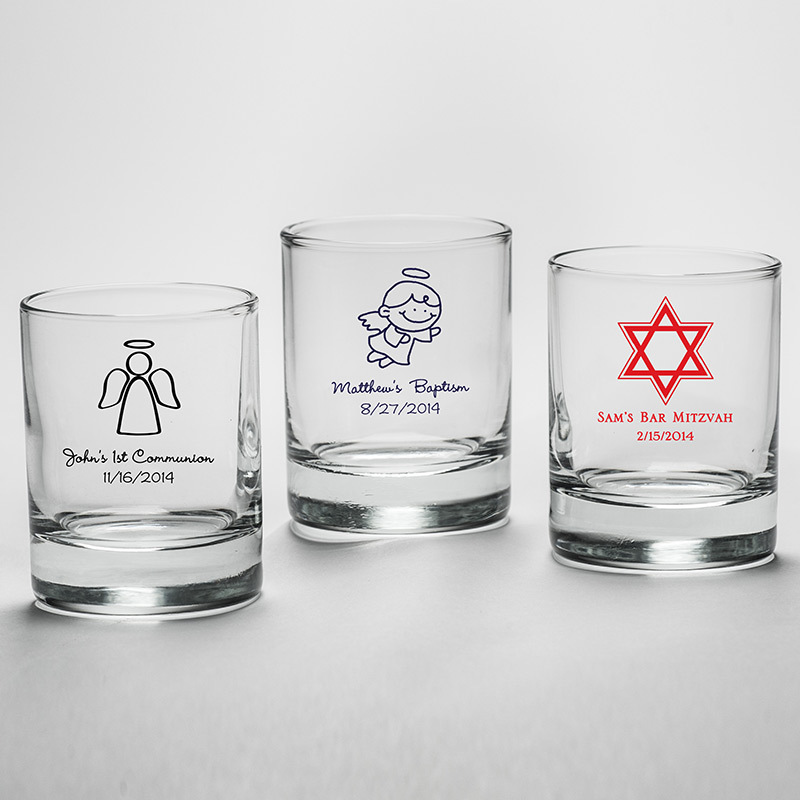 Whether celebrating a Bar or Bat Mitzvah, Baptism, Christening, or First Communion, there are design options for all! Glass measures 2.5" high and 2" in diameter and holds approximately 2 ounces. A $35 set up fee is added to each personalization request for this item for creation of the artwork and design plates. Custom Design, personalization or color variations within the same order for additional may incur separate set up fees.